USAdojo.com is all about martial arts and provides all types of martial arts information. The website was originally built in 2000, rebuild in 2005 and again more recently. USAdojo.com has some of the most knowledgeable writers who have written thousands of articles on hundreds of martial arts topics. USAdojo.com is broken into “Centers” including the Learning Center, the Training Center, The Instructor’s Center, the Safety Center, and the News Center. The study of martial arts can be life changing and the USAdojo.com Learning Center offers information that will help you discover the benefits of studying the martial arts. The Learning Center will provide you with information on martial arts systems and styles and articles that will help you to choose the right martial art style for you, the right martial arts school and the best martial arts instructor for you. There is a martial arts dictionary, and a bit of information on vocabulary and word pronunciation. You will also find numerous articles sharing knowledgeable people’s perceptions of the martial arts in My Perceptions and Living Lessons offers articles and videos to help improve the lives of individuals and families who visit USAdojo.com. The Learning Center also includes martial arts books, magazines, APPs and DVDs that will enhance your knowledge about martial arts and help with your training in the arts. Our Instructor’s Center offers hundreds of articles and biographies about martial arts instructors from around the world. The Instructor’s Center also offers information for martial arts instructors about running martial arts schools, teaching martial arts, and information about curriculum’s that can be introduced into martial arts school to help the school better serve the community. Our Training Center offers articles and videos, tips and more about martial arts training, including traditional, sport and reality martial arts. We have attempted to organize the information on USAdojo.com in a logical manner. Input that would improve the site is always appreciated. We have thousands of instructor biographies and articles on USAdojo.com and searching for an individual is the easiest way to find information you are interested in. It is likely that you may find more than one biography or article about an individual or on any topic. USAdojo.com receives hundreds of emails daily, many requesting we add the attached information to USAdojo.com. We attempt to make sure that we have permission to use any information submitted and that the information is correct and credit is give to the proper source. Sometimes, however, we make mistakes. If you find information on our site that shouldn’t be here or that has incorrect credits, please contact us and we will rectify the situation by removing the information or by correcting the credits. We in no way wish to do harm to anyone, we simply want to promote martial arts and martial artists in the best ways possible. USAdojo.com is a website developed by Martial Arts Enterprises, (MAE, Inc.), the company that also owns and operates these wonderful martial arts websites, Martial Arts Schools & Businesses Directory (FindADojo.com), Martial Arts & Action Entertainment, Martial Arts & Action Entertainment Directory, FightCon.com, and the UniversityMartialArts.com. Each of our websites offers you a unique experience. FightCon.com, is our video web site were you can watch thousands of martial arts videos. If you are looking for a martial arts school, business or organization we invite you to visit our Martial Arts Schools & Businesses Directory (FindADojo.com) If you are working in the action entertainment industry visit our Martial Arts & Action Entertainment Directory. Would you like to supplement your martial arts training by studying martial arts online, visit our University of Martial Arts at UniversityMartialArts.com. 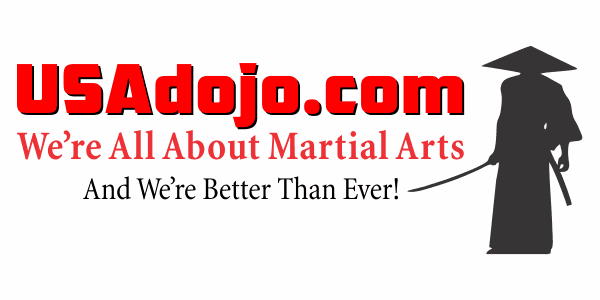 One of USAdojo.com‘s sister sites, Martial Arts Schools & Businesses Directory or (FindADojo.com) offers martial arts instructors, martial arts business owners, and martial arts organizations a directory to list schools, businesses, organizations, and so much more. With your listing you can add events, photos, videos, products, articles and more. You can edit your listing information whenever you want. You can do the same on our Martial Arts & Action Entertainment Directory, created for people working in the action entertainment industry. This directory includes action academies – acting, stunt and film schools, and entertainment related businesses and organizations. Listing on the Martial Arts Schools & Businesses Directory (FindADojo.com)is an automated process and any martial arts entity can list. Just because you find a school, business, organization or event, listed as a free or paid listings does not mean that we have personal knowledge of these entities or that we are recommending these entities. Please use wisdom and discretion when choosing to work or train with anyone. This also applies to the Martial Arts & Action Entertainment Directory (BreakIntoAction.com). Another way we reach out to the martial arts community is by sending out martial arts related newsletters and through our social media. Visit Martial Arts Enterprises for more information. We invite you to like our Pages on Facebook and join our Groups.